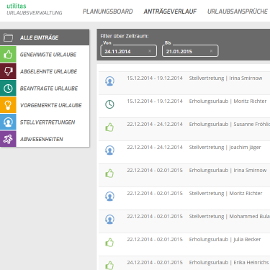 Welcome to utilitas Vacation Management. If you have already registered, please sign in using your access data. If not, you can sign up for a 14-day free trial or purchase a subscription to use utilitas Vacation Management. Here you can find further information about utilitas Vacation Management. 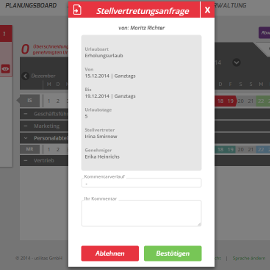 Use the Quick-Start Guide for a quick start with the utilitas Vacation Management. Read the details about the funcionality in the User Guide. 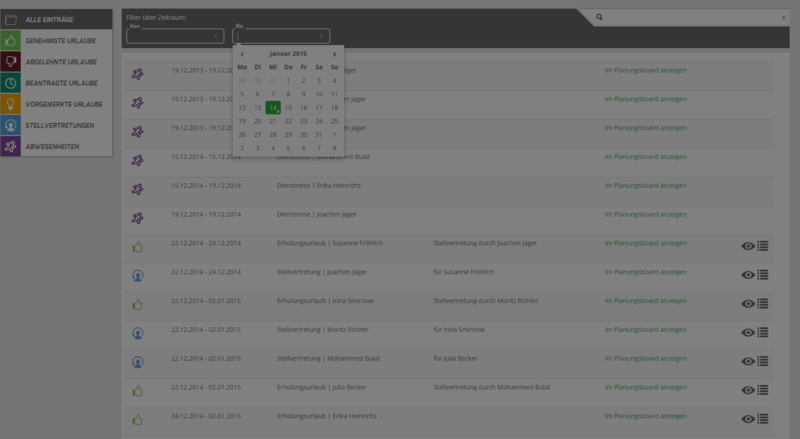 The app's special design makes it quick and easy to process time off requests. 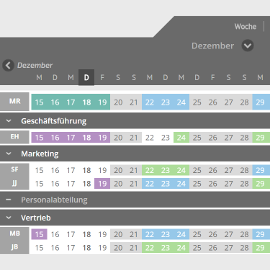 Colorful calendars, clearly structured tables and summarizing export functionalities provide great transparency. Adapting the app to the needs of your individual company is quick and easy. A sophisticated permission system makes everything simple to manage.